Vimal Mehra is the director for sales and marketing at Sakata Inx. He is also the president of the only ink association in India, the All India Printing Ink Manufacturers’ Association. It’s not easy being an ink manufacturer, he says. “Profits of all ink companies are showing negative growth and some major ink companies have reported losses,” he says. And there are challenges being a president of the ink manufacturers’ association. “We have not used technology to improve our reach. 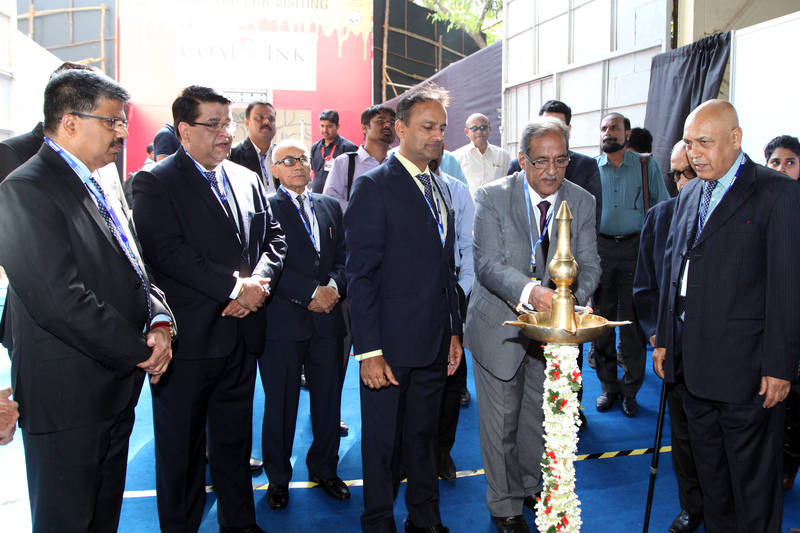 PrintWeek India (PWI): Now that you have been shouldering an added responsibility, that of being the president of one of the printing ink association in India, has there been any change in the way you begin your day? Vimal Mehra (VM): Firstly, there is only one ink association in India and I preside over it. Take, for example, the International Conference and Asia Coat + Ink Show the association hosted from 8-11 March 2017. It meant ensuring precision in the way it rolls out. We also had to ensure the conference delegates get their day’s worth and the exhibitors get the needed visitor footfalls to make their presence fruitful and resulting in new business. Besides, the managing committee meets periodically to take up other agenda to strengthen the association. PWI: But what goes inside that mind of yours during these meetings? VM: I basically want to ensure that when I step down, the association is stronger than when I took over. The association has not been able to increase its member base for past many years. We have also not been able to provide value-based information to our members. PWI: Why is that, and what are the new measures to tackle it? VM: We have not used technology to improve our reach and presence etc. So, after I took over, we formed an executive committee (EC) to look after all such issues. Young professionals and entrepreneurs from ink industry were inducted as EC members and each one of them was given a role to play to build the association stronger. This new team has shown promise and I am sure they will help in achieving the set goals. PWI: The print scenario for packaging firms is positive, but for commercial printing not so much. Between 2008 and 2012 one saw new presses and new technology coming in. The dramatic acceleration now seems to have slowed down a bit, though 2016 saw a return to buying trends. How can the growth be sustained? VM: We have always considered our huge population as a deterrent. This is going to be our strength. The entire US economy is driven by consumption and our vast population has started consuming. This consumption theory will fuel growth and will ensure that economy remains firm. This will also lead to higher jobs, demand for value-based services and printing being a service industry will see positive growth. The success will only come to people who have invested in right technology and offer quality products and services. I am hopeful, commercial printing will again have a good period shortly. PWI: Are you seeing any difference/change in the ink buying pattern from the print companies? VM: Quality and consistency are recognised by print buyers. They are willing to pay for the same as long as it is demonstrated by the product. ‘Me too’ product will perish and hence investment in offering better solutions will prevail. Tomorrow’s customer will not look for just products but will look for better solutions which will do value addition to their prints. PWI: UV is being actively pursued, and there are three options –conventional UV, LED-UV, and a third which Heidelberg calls LE-UV, Komori calls H-UV and KBA calls HR-UV. Packaging printers in India are largely sticking with conventional UV technology due to the comparatively narrower choice of spot colours and, crucially, the lack of low-migration LED-UV and LE-UV curable inks available. Why is this ink bottleneck? VM: All major ink companies operating in India have the technology to offer these products. There has been a continuous improvement in the availability of these products and it will improve further. Manufacturing and offering complete service for UV/LED based products needs additional investment in manufacturing and processes. Considering the current requirement of the industry, such investments will have a very poor ROI and hence all of us will offer complete service shortly and the bottleneck will disappear. PWI: What are the key trends affecting the printing ink market? VM: On one hand raw material prices are increasing and on the other hand due to excess capacities all ink companies have, they are trying to book capacity by offering lower prices. This is a very risky situation as ‘no profits will mean no investment’ in technology/ product development. Profits of all ink companies are showing negative growth and some major ink companies have reported losses. PWI: Do you see a threat coming from any specific country or industry? VM: Not as such but there is a good chance that a strong Chinese ink company may come to India to have a share of the USD one-billion market in India. PWI: Do you see an opportunity coming in from any particular market or segment? If yes, why? VM: Opportunities will definitely come. Packaging is going to grow hugely for next 10 years or so. Exports will be another area where print media will grow. We are seeing an interest from developed countries and global printing players in acquisition and mergers with Indian printers. PWI: Recently, we saw government notification banning the use of newspapers for packing food items fried in oil. This means inks used for newspapers are not safe. VM: Inks used for newspaper anywhere in the world are not safe for food packaging. The industry has formulations which can be used for indirect contact for food packaging. VM: The printers need to understand the requirement of their customer and seek help from ink supplier to offer the right product for the right job. Even for environ-friendly inks, one can get such inks in India currently which has low VOC levels or 0% mineral oils in its formulation. PWI: You hosted the Asia Coat + Ink Show 2017. What were the three top trends at the show? VM: Water based technology, environ-friendly products, and consolidation in the raw material industry. PWI: Overall what will your role be towards the betterment of the ink and the print industry? And the role of the ink community (read as the association)? VM: Respect for one another, growth through value-added products and desire to improve the bottom line rather than top line.